This Roulette Records' 1961 Birdland Series LP of Sarah Vaughan's After Hours was the first ever album by 'Sassy' to feature just her voice with bass (George Duvivier) and guitar (Mundell Lowe) in a program of mostly ballads, with Miss Vaughan crooning quietly in a rarely used style. Her voice is at its peak on these intimate, relaxed, almost spontaneous sessions. 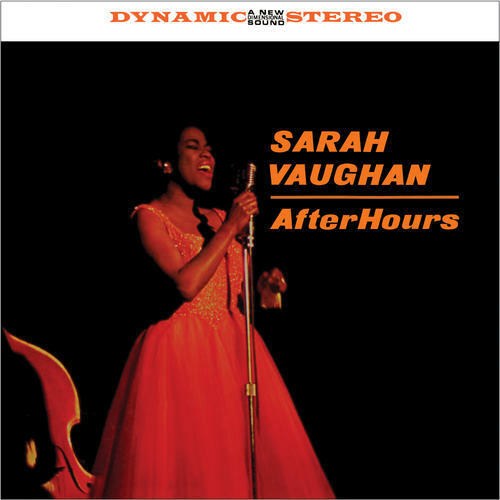 A true jazz classic of considerable beauty, with George and Mundell perfectly complementing 'the Divine Sarah' as she runs through a set of carefully chosen (yet unrehearsed) favorites, all songs one might've heard her perform in a smoky club well "After Hours."